Valentine’s day. Pink and Red. A day to celebrate love. Why not get your girlfriend or boyfriend a longboard, go out and spend time together? Of course, Valentine is a day to express your love to each other, but you can do this any day! If you are the lucky one that have a significant other who loves to longboard, this is the day to do it. It is an awesome thing if you can longboard together! A soul-feeding experience. If you are new to longboarding, don’t worry. It will be the perfect gift. There are many longboards on the market that has a Valentine spark to it. Think about the color and the graphics on it. Here are some samples that express the color of Valentine’s day. 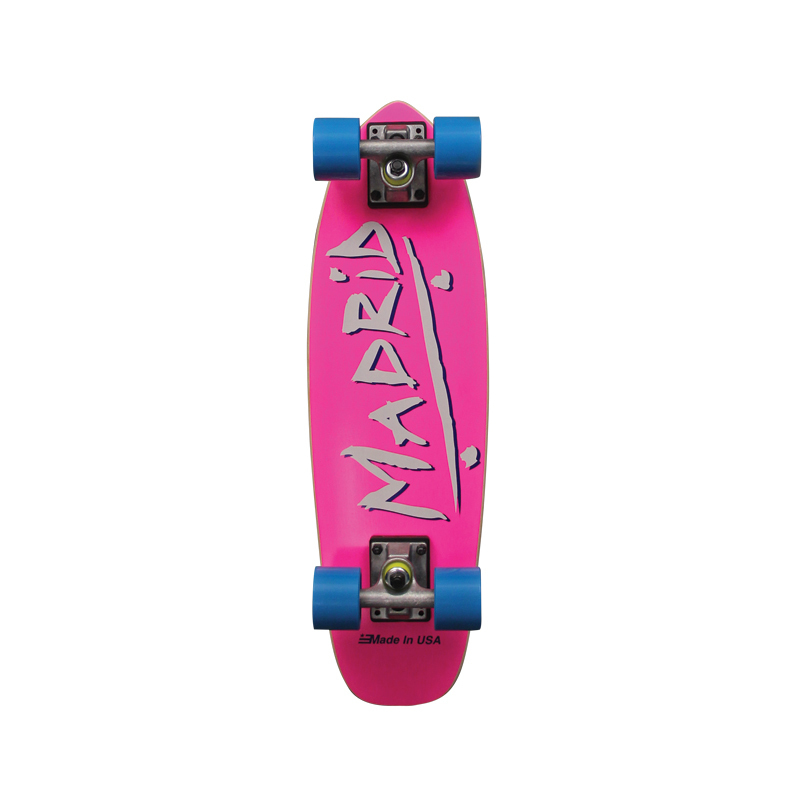 The Madrid Midget Party Pink Cruiser is a mini longboard made out of 7 ply hard rock maple. Easy to take with you to school or under your arm. Made in the USA and high quality. Ehlers pink 40″ kicktail longboard is a great longboard for cruising around town and perfect for beginners and your girlfriend. It has a medium flex and a perfect kicktail for easy pick up and do some tricks. This one is also available in other colors. If she has already a longboard, but need new wheels consider the Zaza wheels. The pink Zaza Wheel is a cruiser wheel and made out of urethane. It is grippy, sticky, fast and smooth. Just what you want with longboarding. These wheels are 70mm Gel Soft cruisers. What about a red blank pintail longboard. You can add your own graphics and design. Great beginners longboard for cruising and carving. Or the red Lunar Rover drop down 40″ longboard from Ehlers. Also called the LRV1 which stand for Lunar Rover Vehicle One. It has a W concave and drops down for better grip. Great moon, owl, road graphics for those romantic evenings. The Gravity Big Kick Tequila Sunrise Orange Red Longboard is a dreamer. Longboard for a while and sit on the beach with the sunset or sunrise in front of you. What can be more romantic. Of course, this is just a very small selection. We do have many more longboards for your girlfriend, boyfriend or loved one. Different colors, shapes and styles. Check it out at LongboardsUSA.com and find your favorite one! go shred and have fun. Read prior posts about Mystical Maya Longboards. more likely to get hurt.